Hayden senior Daylon Frentress wrestles with sophomore Wyatt Murphy at practice Tuesday, Dec. 4, at Hayden High School. This is Frentress’ first year wrestling at the high school level while Murphy hopes to return to the state tournament this year. HAYDEN — Nick Planansky never considered becoming head coach of the Hayden High School wrestling team. 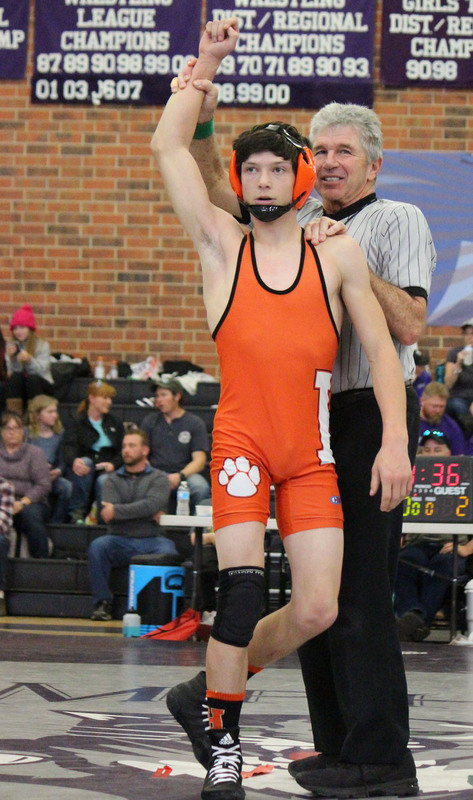 Dec. 1: Middle Park Invite, 9 a.m.
Dec. 7: Soroco Dual, 6 p.m.
Dec. 8: Soroco Invite, 9 a.m.
Dec. 14: West Grand Duals, 6 p.m.
Dec. 15: West Grand Invite, 9 a.m.
Dec. 20: Moffat Dual in Hayden, 5 p.m.
Jan. 24: Rifle Dual in Hayden, 5 p.m.
Jan. 26: Paonia Invite, 8 a.m.